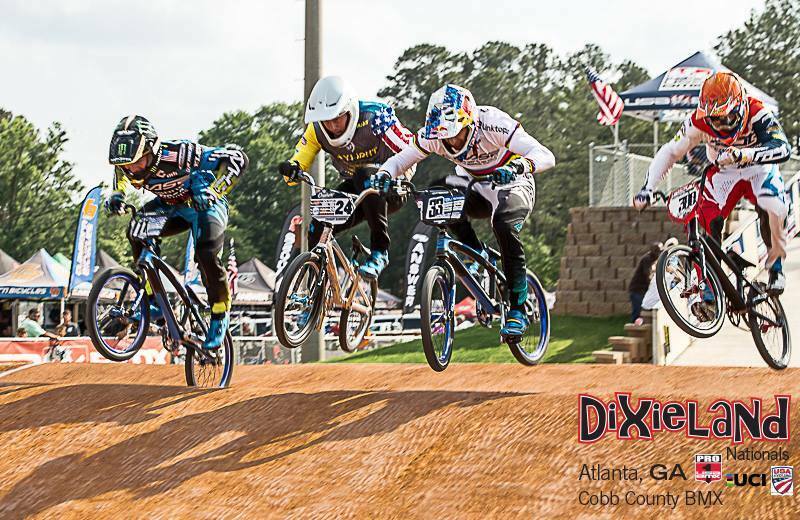 Round 5 of the 2017 USA BMX Pro Series tour took the riders to the newly built Dixieland BMX track in Atlanta, GA. 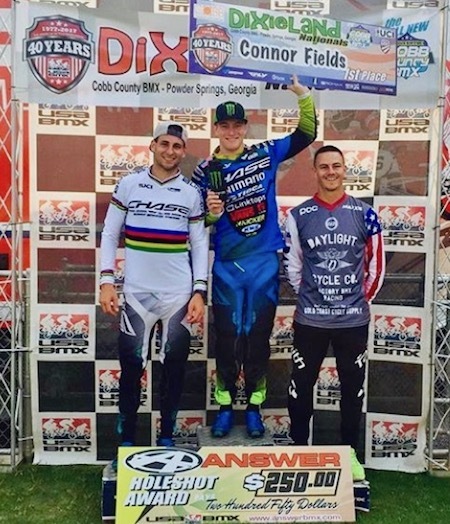 Both Connor and Joris were coming off a great weekend of racing in Austin and looking forward to having another successful weekend in Atlanta, but little did they know how good the event would go for them. On Friday night, they would line up for the main event and have the crowd amped for the finale. 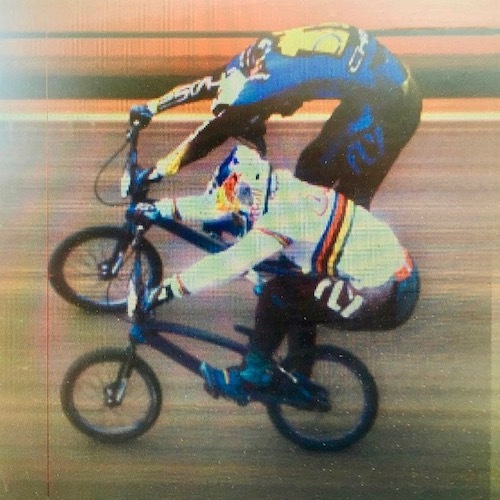 Joris would take the hole shot, with Connor just behind him, and the two would race Tioga tire to tire until joris was able to slightly gap Connor and ride his way to victory. On Saturday, it was Joris and Connor who were stand outs in the qualifying racing one again, and as they were on the gate for the main they were ready to battle it out for the last race of the weekend. When the gate slammed down, it was Joris once again with a lead, but Connor was right on his rear wheel the entire lap. Heading into the last turn, Connor turned it up, pulled side by side with Joris and edged him out at the line for the win! 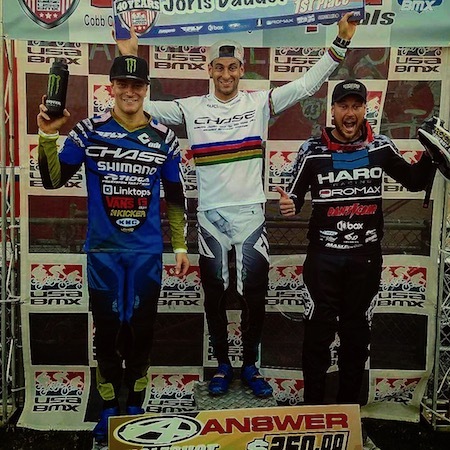 With the Chase Pros sweeping the weekend, its the perfect way for them to be ready to head off to into the UCI World Cup season with wining momentum for the 1st 2 rounds of the 2017 UCI BMX SX race season, with 4 SX events over 2 weekends of racing in Holland and Belgium. 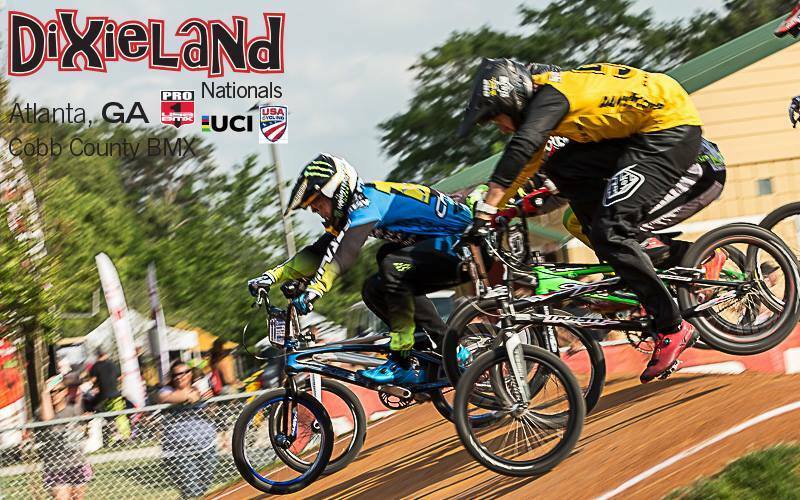 Tune into BMXlive.tv to watch all the race action.